Fixed deposits are financial investments from which you can get interest at a fixed rate by investing for a fixed period. If you are a risk averse or you want to go with low risk investments then fixed deposit is one of the best investment options. You can choose any bank for fixed deposit. There are different types of FDs available in market. You can choose one of them based on your requirements. As per the income tax act, interest received from fixed deposit will be liable for TDS if such amount is in excess of Rs. 10000 during the financial year. To avoid such TDS liability one can follow following ways to achieve this. If your incomes are not chargeable to income tax then you can provide a declaration to the bank stating that your incomes are not taxable and the bank should not deduct TDS on interest received from fixed deposit. Bank after receiving such declaration will not deduct TDS from your interest. Such declaration has to be submitted in form 15G/15H to the bank. 15G is to be used by those peoples who are less then 60 years of age. If the person’s age is more than 60 years then they have to submit the declaration in form 15H. 15G can also be produced by proprietorship firm, society, association of person, Trust, HUF etc. After submission of this form only TDS will not be deducted by the bank and bank will not refund the TDS amount which has already been deducted and deposited by them to income tax department. If you have more than one FD then you need to submit form 15G for every fixed deposit booked with the bank. Such 15G forms are valid for one financial year so next year after the current financial year over, you need to submit another form 15G for that year. TDS on fixed deposit will be deducted only if interest from such deposit has exceeded Rs. 10000 during the financial year. 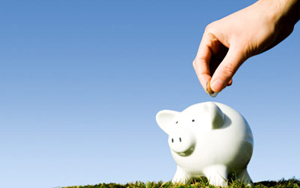 if you are planning for fixed deposit and expecting the interest amount to be more than Rs. 10000 per year then split it between different banks so that for each bank’s interest amount will be below Rs. 10000. Instead of investing in fixed deposits at the beginning of the financial year you need to invest such amount around October or November by which if you are investing for a year then interest would be split to two financial year i.e one from September to march and then from April to September. You can also split the fixed deposit in your family’s name like in the name of your wife, father, mother or any other person of your family. you need to make sure that each of them have PAN card in case interest amount exceed Rs. 10000.